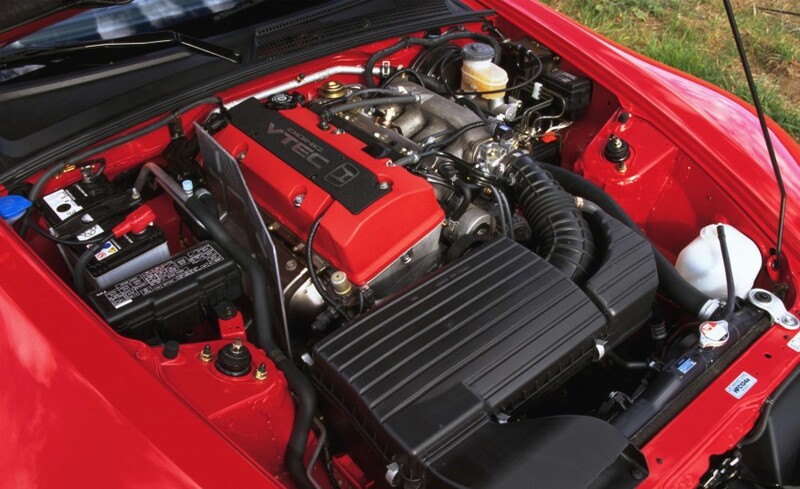 According to Car and Driver, the Honda F20C engine as found in the S2000 is the #1 top naturally aspirated engine of all time. This in a story about the diminishing numbers of naturally aspirated engines. The Honda F20C was chosen by the staff of Car and Driver magazine to lead the list of the top 8 best naturally aspirated engines ever. That the list contains two Honda engines honors the work that Honda has done over the years, going back to its first car ever – a sportscar – the S500. As background, read this earlier article from Car and Driver about why naturally aspirated engines are disappearing. Emissions, mileage, drivability, performance requirements – everything works against high-output naturally aspirated engines as we move into the future. And while some sterling examples remain, these will be fewer and fewer as we move to the CAFE 54.5 MPG mileage reality by 2025. BMW already has a 100% boosted line of cars, Ferrari is next, and Ford leads the American manufacturers by far.